UPDATE: The latest 3G mobile devices like iPhones and other smart phones may deliver a lower dose of radiowaves to the brain than earlier models but frequent use could still cause cancer, a health expert says. A report released by the World Health Organisation's cancer research wing says radio frequency electromagnetic fields generated by such devices are "possibly carcinogenic to humans". The�International Agency for Research on Cancer said heavy usage could lead to an increased incidence of glioma, a malignant form of brain cancer. It advised people to text or use hands-free to reduce the risk. WHO had previously said that there were no ill-effects from mobile phone use. An Australian researcher who worked on the report with 30 other experts says more research is needed before any real link can be made between mobile phone use and cancer. "Really, what it's saying is there is an observed association between using a mobile phone and a higher risk of brain cancer," Professor Bruce Armstrong from the University of Sydney told the ABC. "But it's also saying that there are perhaps biases in the study or ... other factors that could explain that association." Professor Armstrong said researchers studied radiowave activity on those who used phones the heaviest and for the longest period, and health risks for average users was "really quite small". "In the general population, particularly in the younger population, there is just no evidence ... that brain tumours are increasing in a way that would suggest that they are related to the greater amount of radio-frequency energy in our environment," he said. The WHO has put mobile phone radiation on a par with about 240 other agents for which evidence of harm is uncertain, including talcum powder, working in a dry cleaner's, pesticide DDT, petrol engine exhaust and coffee. The 3G technology used by iPhones, Blackberry and other mobile phones also appeared to emit less harmful radiowaves, he said. But research on these new technologies was still in its infancy. "A very important observation, really, just based on the technology, is that the 3G phones in fact give a much lower dose to the brain than the previous generations," Professor Armstrong said. "Whether, for example, the 3G levels are sufficient to cause brain tumours, we don't know at this stage, because most of the research at this stage was done ... on the generation before." 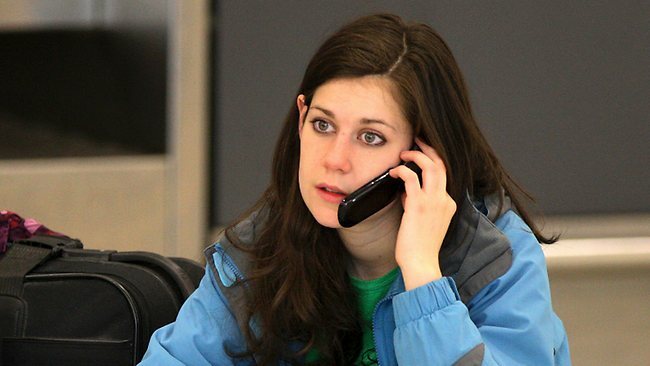 The IARC had previously stated that there was no real health risks associated with long-term mobile phone use. Professor Armstrong said while health agencies tended to err on the side of caution it was still important people avoided heavy mobile-phone use. "I think that's a very common principal of public health, that in the face of uncertainty... it's good to take precautions," he said. "I would say that the main message out of this study is to avoid exposing your brain to radiowaves from mobile phones." He said using hands-free devices, texting or using a landline whenever possible would reduce any of the potentially negative health risks for phone users. More research was needed across the board before any real conclusions could be drawn, he said. The IARC report that radiofrequency electromagnetic fields generated by such devices are "possibly carcinogenic to humans" has resulted in a Group 2B classification. The classification will now be assessed by the WHO, which can be expected to provide further advice in due course. Palermo president Maurizio Zamparini believes in-demand midfielder Javier Pastore would be best suited to Real Madrid. Zamparini claims a host of Europe's top clubs have made enquiries about Palermo's Argentinian star. The 21-year-old is under contract until 2014 and Zamparini insists he will only sell this summer if the price is right. But the Rosanero supremo reckons that if his asking price is met, the Bernabeu would make a good home for Pastore. "He's the only player that could move from Palermo," Zamparini told Radio Rai. "About four or five foreign clubs are interested in him. He's wanted by Real Madrid, Barcelona, Chelsea and Manchester City, in addition to the Italian clubs, Inter and AC Milan, and Juventus. "The team I credit more for Pastore is Real Madrid, not because they are advanced in the negotiations but because they need him more and because (coach Jose) Mourinho likes him a lot." However, Zamparini would be happy for Pastore to remain at Palermo for at least another season as they aim to improve on last term's eighth-placed finish in Serie A. "I wish he could stay," he added. "The squad is practically completed for next season. Only a few players are missing and they are ready to fight for a place between fourth and 10th." 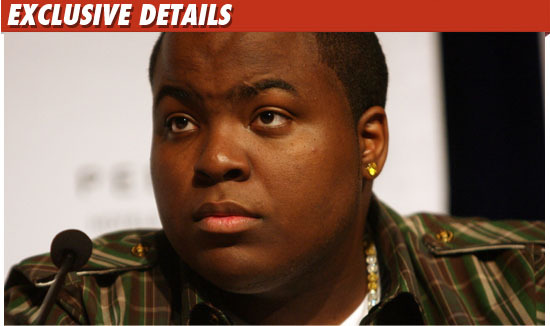 Sean Kingston's female jet ski passenger tells TMZ Sean was driving "REALLY fast" when they crashed into a bridge this weekend ... and insists she begged him to slow down before the accident. TMZ spoke with Cassandra Sanchez -- Sean's longtime friend -- who tells us she arrived to Miami Beach with another female friend to ride jet skis with Sean and his buddy on Saturday evening. Sanchez tells us, "Both jet skis pulled out of the dock at the same time and we were going so fast we just blasted past them. When we turned a corner and crashed ... they were so far behind us they didn't even see us crash." Sanchez says ... as Sean was racing towards the bridge, she screamed out, "We can't fit under there! Are we going to try and go under there?� Sean stop!" lost control because they were going "REALLY fast." The next thing Sanchez remembers is waking up in the water in pain. Sanchez says her friends on the other jet ski raced over and tried to help out ... with Sean's buddy trying to position the injured singer so he wouldn't swallow any more water. They all signaled for help until a boat came to the scene to help out. Sanchez says, "[Sean] was coughing up blood, foam and pink stuff" ... and when he finally opened his eyes, he kept repeating the words, "I'm hurting. I'm hurting"
Sanchez says her ribs and her jaw are still sore -- but overall, she's OK.
As for Sean, Sanchez says "They have a tube down his throat so he can't really talk, but he is lucid and understands what's going on." Sanchez says doctors plan to keep Sean in the hospital for "a couple more weeks." Courtney Love has been ordered to fork over more than $35k to her two former maids -- after allegedly stiffing them out of their hard earned paychecks for years. TMZ has learned ... Love's former maids -- named Miriam and Myriam -- scored a huge victory in Beverly Hills court ... after proving Love never paid them for cleaning up her pad several years ago. The judge now ruled Love must now kick out $16,632.45 to Mirium and $19,137.27 to Myrium ... totaling $35,769.72 in wages, penalties and interest. A rep for Love could not be reached for comment. Jonathan Rivera, a member of the Coast Guard, says he was driving his boat around Star Island on his day off ... when he was called over to the accident scene by a man and a woman on a jet ski. Rivera says he noticed an empty jet ski, a woman in the water floating (she was wearing a vest and complaining her head hurt) and Kingston. Rivera says the two people on the jet ski were trying to hold Kingston up, but they were struggling to keep his head above water. Rivera says Kingston's size was a problem for them, as his life vest had come off. So Rivera says he jumped in the water and noticed Kingston was "puking up blood out of his mouth." Rivera, who says he didn't recognize Kingston until well into the rescue, tells us, ?I mean regardless of whether I was in the Coast Guard, I would have still jumped off to help him. He needed help." Jimmy Vega, who was with Rivera at the time and assisted in rescuing Kingston, talked to a local reporter (see below) and explained, "We were about to turn back around [and go home] when we noticed him. I truly believe if we did turn around, he would not be with us today." 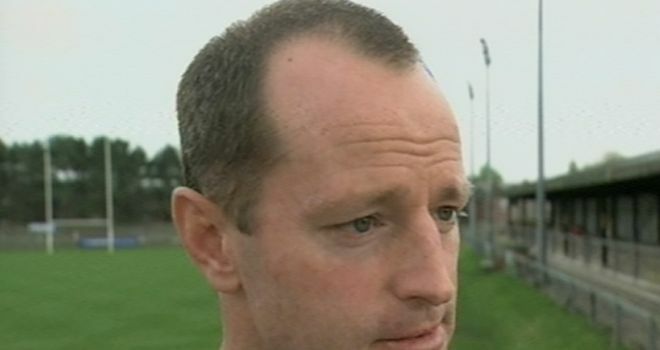 Wigan coach Michael Maguire hailed the defensive effort of his side after they secured a 40-6 victory over Hull KR on Monday. The Warriors ran away the match in the second half but were forced to fend off a period of intense pressure in the first as Rovers threatened to make it a close contest. While Maguire acknowledged the try-scoring exploits of Sam Tomkins and Pat Richards, who both grabbed hat-tricks, he was more pleased with the commitment at the other end. "The whole team needs the credit because of the hard work they had to fight through in that first half," he said. "They were coming at us and there was a period where we had to defend our line for four or five sets. To be able to dig ourselves out of that and put ourselves back in the game, that was probably the most pleasing factor. "They challenged us, we withstood it, and that allowed us to score some points at the back end. The quality of some of the tries was pleasing too." Hull KR trailed 12-6 when the half-time hooter sounded but Wigan kept the ball alive and Richards was awarded a try after lengthy deliberation by video referee Ben Thaler. Richards appeared to bounce the ball but some said it had grounded it with his middle finger and in any case the decision did not help Rovers, who are still three points off the play-off places. "It was a gutsy effort from us. Ultimately a bit of adversity was too difficult for us to overcome," Robins boss Justin Morgan said. "We had two injuries (Jake Webster and Joel Clinton, both shoulder) in the first half and there are some question marks over the try just before half-time, but we have to handle that adversity better. "The end of the first half we looked strong and we started the second half reasonably well, but against a good side like Wigan you need the rub of the green, and unfortunately we didn't have that." Clinton and Webster are now doubts for the upcoming derby with Hull but Morgan may be able to call on the services of Clint Newton for that clash. "I'm feeling fresh and the knee feels great. I'll be back in a week," the second-rower said. Hip-hop star Sean Kingston is in critical condition in a Miami Beach hospital after being injured in a bad jet skiing accident Sunday evening ... TMZ has confirmed. 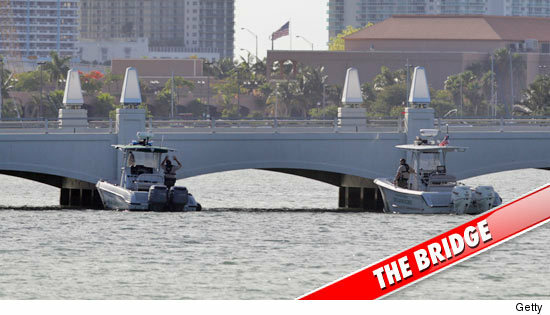 According to Local10.com, the "Beautiful Girls" singer had a female passenger on board his watercraft when it crashed into a bridge (see below) around 6:00 PM local time.�We're told both Kingston and his passenger were rescued from the water by a good Samaritan. The Miami Fire Dept. responded to the scene and both Kingston and his female passenger were transported to nearby Jackson Memorial Hospital. We're told Kingston's injuries are so severe, he is being treated in the trauma ward. We're told ... at this moment, officials do not believe alcohol played a role in the crash. Kingston's rep tells TMZ .... "Sean Kingston was in an accident today. No further details are available at the moment. He and his family thank everyone for the well-wishes." 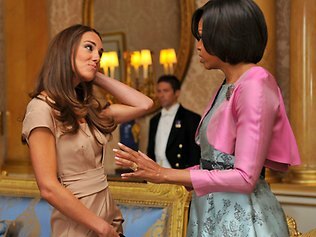 COSTING �175 ($270) on the high street, it helped Catherine, Duchess of Cambridge, outshine America's First Lady. But the Reiss dress (left) that made such an impression when the pair met last week was produced by women paid only 99p an hour in a poor suburb of the Romanian capital, Bucharest. The camel-coloured "Shola" design was made for less than $23 by seamstresses earning $1.54 an hour� less than the average salary for textile workers in the eastern European nation. for it surged, causing the company's website to crash and the dress to sell out within 24 hours. It has been advertised for $926 on eBay. Yesterday, Reiss said it would re-release the dress in five to six weeks. But that glamour is a far cry from the bleak working conditions of those who made it. The 170 staff of clothing firm Rimcor Ex work in a Bucharest factory that resembles an industrial compound, with bars on the windows, high walls and metal fences. One dressmaker said the typical $259-a-month salary for workers at the factory was above the country's minimum wage. But the nation's National Institute for Statistics said it was $33-a-month below the average net salary for the clothing industry in Romania. Another worker, 44-year-old Juliana Haita, described conditions as "good" and added: "This is normal for me. I'm used to it." There is no suggestion that working conditions at Rimcor Ex are below par. The factory's owner, Ioan Palea, said yesterday: "I had an inspection from the Work Ministry on Monday and Tuesday and they said everything was OK."
"Kate Middleton has made a point of supporting British fashion - sadly, it appears, at the expense of overseas workers." GOOGLE has rejected a charge that it swiped PayPal trade secrets to build its new mobile application that turns a smartphone into an electronic wallet. Within hours of the unveiling of Google Wallet, eBay and PayPal filed a lawsuit charging the internet giant tapped into the online financial transaction service's know-how for the mobile payments project. PayPal spent three years trying to work out a deal in which it would handle payments for Android smartphones, only to see Google scuttle the talks and hire PayPal lead negotiator Osama Bedier, according to court documents. ?Silicon Valley was built on the ability of individuals to use their knowledge and expertise to seek better employment opportunities, an idea recognised by both California law and public policy,'' a Google spokesman said. 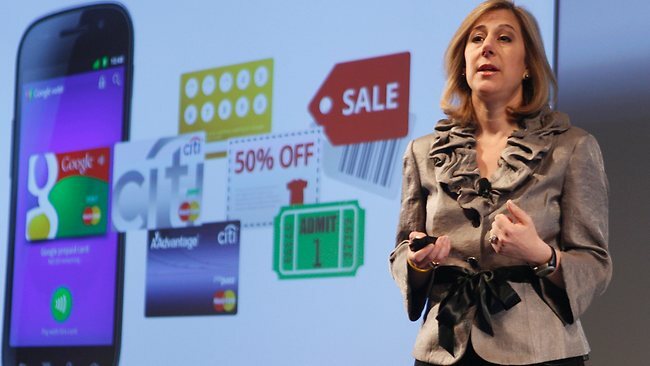 Bedier worked at the eBay-owned online financial services unit as a vice-president of platform, mobile and new ventures until being hired in January by Google. He played a central role at Google's official unveiling of Google Wallet with financial partners Citibank, MasterCard and First Data and telecom ally Sprint. ''(Bedier) had an intimate knowledge of PayPal's capabilities, strategies, plans, and market intelligence regarding mobile payment and related technologies,'' the lawsuit said. Google Wallet is being field tested and will be available this year. Google Wallet will initially work with Google's Nexus S 4G smartphone from Sprint, the third-largest US wireless provider, and will eventually be expanded to other phones equipped with near field communication (NFC) technology. An NFC chip in a phone allows a user who has entered his or her credit card details to ?tap-and-pay'' for purchases at a checkout register equipped with the PayPass system from CitiMasterCard. Customers can also use Google Prepaid cards to pay for purchases and take advantage of Google Offers, the Mountain View, California-based company's online discount coupon program. The company said Google Wallet will be accepted at more than 124,000 US merchants at launch and more than 311,000 around the world. Stephanie Tilenius, Google's vice-president for commerce and payments, described Google Wallet as the ?next generation of mobile commerce''. The PayPal lawsuit contends Tilenius helped Google poach Bedier and named both executives and the internet company as defendants in a civil case alleging misappropriation of trade secrets. Mobile payments are being tested or used in a number of countries already, notably France and Japan, but Google Wallet will be among the first to bring NFC technology to stores in the United States. NFC technology uses short-range, high frequency wireless to enable the encrypted exchange of information between devices at a short distance. Google said it has built security systems into Google Wallet including the need for a PIN and credit card encryption. If lost, the payment system can be disabled with a phone call. 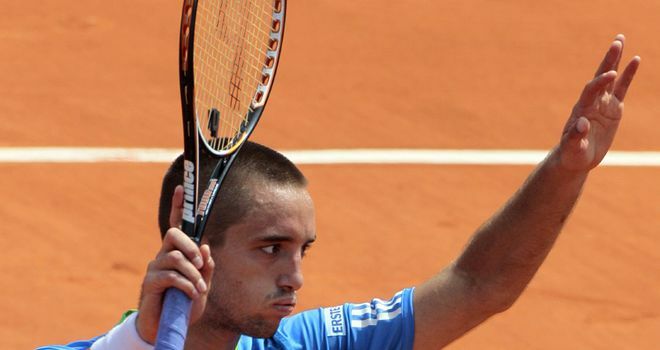 Viktor Troicki will attempt to test Andy Murray's fitness to the limit in their French Open fourth round encounter. 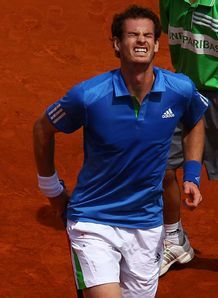 British No.1 Murray goes into the match having rolled his right ankle during the second set of his victory over Michael Berrer at Roland Garros. Berrer admitted afterwards that he hadn't made the most of the injury, however 15th seed Troicki insists he won't make the same mistake against the Scot. Troicki, who has had his own fitness worries after food poisoning forced him out of the doubles, said: "We've never played on clay and I think Murray's weakest court is a clay court. If I play well, I think I have a chance. "If he's injured and cannot run, I'm going to take advantage of that. I want to win my match. "He would also do the same if I had the same problem. We are all professionals, so we try to win. Sometimes it's ugly, but that's our job." Murray's clash against the 25-year-old will be the third match on Court Suzanne Lenglen on Monday, while other players in action include Rafael Nadal, who takes on Ivan Ljubicic, and Victoria Azarenka, now the highest seed left in the women's draw. J.R. Smith is not going to gain any street cred from this arrest -- he was popped in Miami this weekend for operating a scooter without a valid driver's license. THUG LIFE!!!! Law enforcement sources tell TMZ ... Smith, who has played the last five seasons with the Denver Nuggets, was not taken to jail for the offense. We're told Smith signed a notice to appear -- he'll get his court date later. South Beach beware -- Smith was released on his own recognizance. No word on what happened to the scooter. THE moon may have a lot more water than imagined, perhaps as much as on Earth in some parts. Study results released today have�cast doubt on long-held theories about how it was formed. Now scientists at Case Western Reserve University, Carnegie Institution for Science, and Brown University believe there is 100 times more water deep inside the moon than previously believed. Scientists studied a sample of the "orange glass soil", formed during explosive eruptions on the moon 3.7 billion years ago and scooped up by American astronauts during the 1972 Apollo 17 mission, the last to visit the moon. 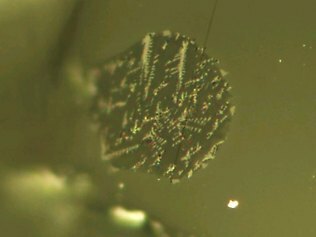 They used a precision instrument, called the NanoSIMS 50L ion microprobe, to examine lunar melt inclusions, or tiny bits of molten rock. Unlike the majority of volcanic deposits, these are enshrouded in crystal cases that keep in water during eruption rather than allow it to escape. "These samples provide the best window we have to the amount of water in the interior of the moon," co-author James Van Orman, professor of geological sciences at Case Western, said. "The interior seems to be pretty similar to the interior of the Earth, from what we know about water abundance." The findings are in the May 26 edition of Science Express. The same team published a paper in Nature in 2008, describing the first evidence for the presence of water in volcanic glasses returned by the Apollo missions. "The bottom line is that in 2008, we said the primitive water content in the lunar magmas should be similar to the water content in lavas coming from the Earth's depleted upper mantle," co-author Alberto Saal said. "Now, we have proven that is indeed the case." While the findings corroborate a long-held theory that the moon and Earth have common origins, they also cast doubt on the notion that the moon may have formed after a chunk of the Earth was dislodged, losing much of its moisture in the high-temperature process. Under this "giant impact" theory dating back to the 1970s, the moon was formed after our planet collided with a space rock or planet some 4.5 billion years ago. "This new research shows that aspects of this theory must be reevaluated," the study said. The NASA-funded findings also raise questions about theories that ice found in craters at the lunar poles may have resulted from meteor impacts, suggesting some of it may have come from the eruption of lunar magmas. NASA announced in 2009 that two spacecraft sent crashing into the lunar surface had discovered frozen water on the moon for the first time, a dramatic revelation it hailed as a giant leap forward in space exploration. A WOMAN died on her 30th birthday and another woman was seriously injured when they plunged from a 10th-storey hotel window after play-fighting in their room. Witnesses told police that Lashawna Threatt and a second woman were "play wrestling" in a room at the W Midtown Hotel around 3.15am on Saturday when they crashed into a window and fell four or five storeys on to a slanted glass ceiling above a sunroom. "They were play wrestling and the next thing you know, they went toward the window and through the window and out they went," said�Lieutenant Paul Guerrucci, commander of the Atlanta Police Department's homicide unit. Rescuers found Threatt dead on the sunroom roof. The second woman, whom police would not identify, tumbled off that same roof and fell on to an outdoor patio outside the hotel. She was taken to Grady Hospital with multiple broken bones and other injuries and was listed in critical condition. "According to the witnesses, there was no arguing during the hours leading up to this, either, so it's really a tragic accident,"�Lieutenant Guerrucci said. None of the handful of people in the hotel room have been charged with any crimes.�Lieutenant Guerrucci would not comment on whether alcohol could have played a role in the accident. Authorities were waiting on blood tests taken from the victim. Hotel manager Michael O'Donohue referred all questions about the death back to police, citing the ongoing investigation. The hotel remained open on Saturday. "The incident at the W Atlanta early Saturday is very tragic and our thoughts and prayers are with the woman who was injured and the family and friends of the woman who died in the fall," he said in a statement. Nicole vs. Cheryl: Who'd You Rather? Arnold's Baby Mama -- Real Housewife of Miami? Recognise this former child star? Botox Mom: I MADE IT ALL UP FOR MONEY!